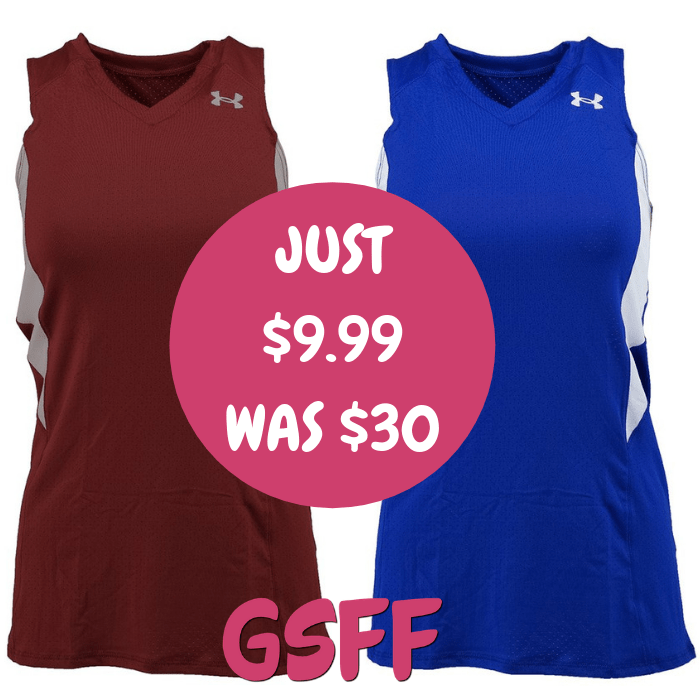 Under Armour Tank Top Just $9.99! Down From $30! FREE Shipping! You are here: Home / Great Deals / Under Armour Tank Top Just $9.99! Down From $30! FREE Shipping! Until December 16 only! At Proozy, you can score this Under Armour Tank Top for just $9.99 down from $29.99 when you use promo code PZY999 at checkout PLUS FREE shipping! If every single day is a chance to rise and grind, then this is the jersey for you. Cute, sporty and comfortable this tank is a must in the gym or when you’re strutting your stylish, hard-working stuff down the street.